Chongqing is where you will find another British Consulate. The British Consulate in Chongqing will be able to assist you with a British visa such as an education visa or partner visa. They will also be able to assist you with applying for a new passport or registering your marriage or registering a birth of a British national. You can also contact them for consular assistance if you have been involved in an accident while in China or contact them if you need access to a public notary while in Chongqing. If they are not able to assist you then you need to contact the British Embassy in Beijing. You can also contact the British Consulate in Hong Kong if you have any BNO questions. 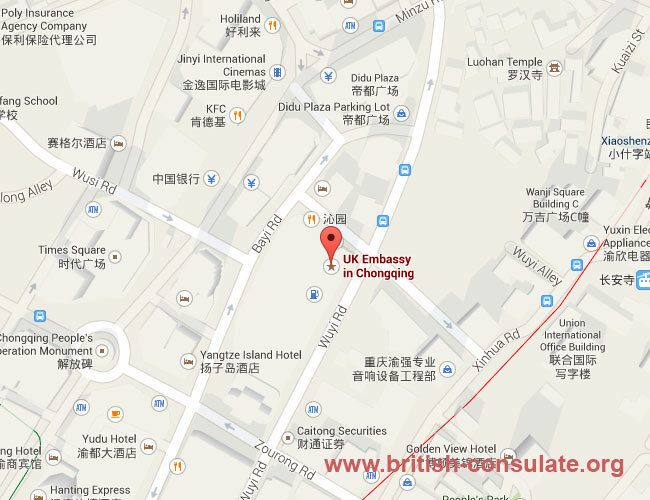 There is a map and the contact details for the British Consulate in China listed below.